In this $4 million, five-year-study, researchers expect to investigate 60 to 65 automobile crashes per year in greater metro Atlanta that result in injury. With a goal to improve vehicle safety and support injury prevention, CIREN centers collect data on the performance of vehicles in crashes and the resulting injuries. 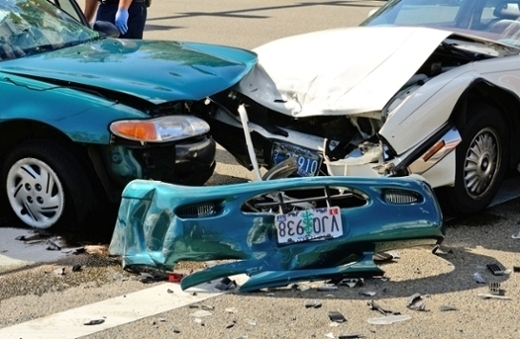 CIREN is one of the NHTSA's major data collection systems for motor vehicle crashes. Following an extensive quality-control process, CIREN case data are then made available to the public. "Data from CIREN centers help drive rulemaking to make vehicles safer for passengers," says Jonathan Rupp, MD, associate professor of emergency medicine, Emory University School of Medicine, and principal investigator of the newly formed CIREN center at Emory and Grady. "CIREN relies on high-volume trauma centers like Grady's Marcus Trauma Center to conduct research on injuries following car crashes. This CIREN award would not have been possible without the strong, collaborative relationship between Emory and Grady." Participants will be enrolled in the study when brought by ambulance or helicopter to Grady's trauma center, Georgia's busiest Level 1 trauma center, following the crash. The Emory/Grady center is one of seven designated CIREN centers in the U.S.
CIREN Engineering Centers: focus on analysis of the data collected by the medical centers with the goal of identifying how injuries occurred and the parts of the vehicle involved in causing these injuries -- to hopefully prevent that same injury in the future. "This is an incredible honor that reflects the national prominence of Grady's Marcus Trauma Center and the expertise of the engineering and medical teams brought together for this project," says David Wright, MD, professor of emergency medicine at Emory and co-principal investigator of the CIREN award. "Collaborators in emergency medicine, trauma surgery, radiology, engineering (sub-contractors at the University of Michigan) and other experts will spend the next five years collecting and analyzing data to better understand the mechanisms of injuries from modern automobiles." "Motor vehicle accidents are the number one trauma we see at Grady, resulting in thousands of crash victims each year," says Peter Rhee, MD, chief of acute care surgery at Grady Health System. "We are excited to continue contributing to the work in the new CIREN center, in hopes of better understanding how to continually improve the safety of our drivers and passengers." CIREN's focus is on injury causation in newer vehicles; therefore, the study will enroll cars, vans, and light trucks that are six or fewer years older than the calendar year at the time of the enrollment (i.e., in calendar year 2017, a 2011 model year vehicle or newer would quality for the study). Some older car models will be considered if no major chassis or safety technology has changed within a certain period of time.